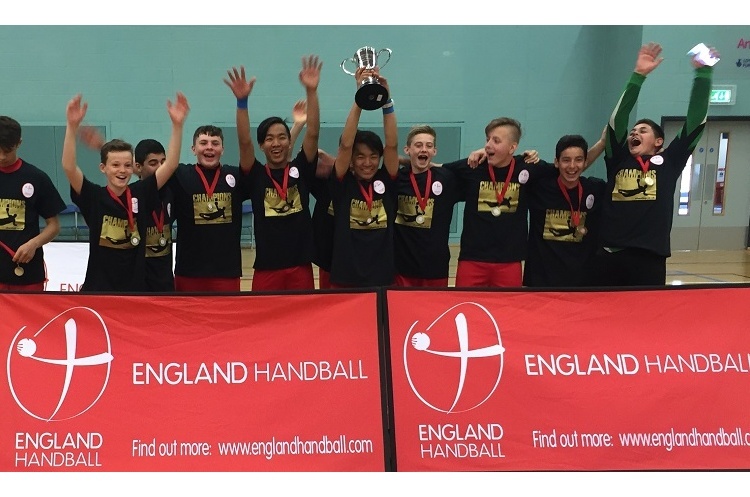 Hampton High won the England Handball schools under-13 boy’s competition after beating Wellington Trafford in the final at Worcester Arena. Hampton were fast out of the blocks in the final and led 8-3 at the break. However, Wellington showed great spirit, producing a great second half display to reduce Hampton’s advantage to just two goals as it finished 10-8. Hampton lost just one match in the round-robin section of the tournament, ironically against Wellington. Wellington, meanwhile won three of their five round-robin matches, drawing against Gilbert Inglefield and losing to Aylesbury Grammar. Sheldon School finished in third place.